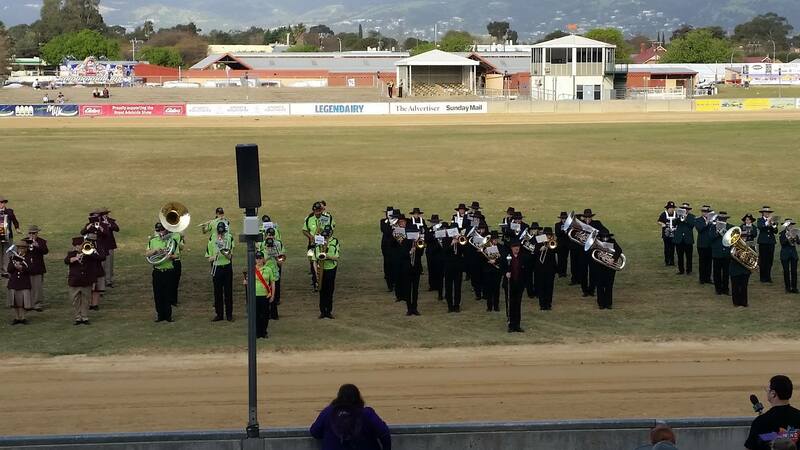 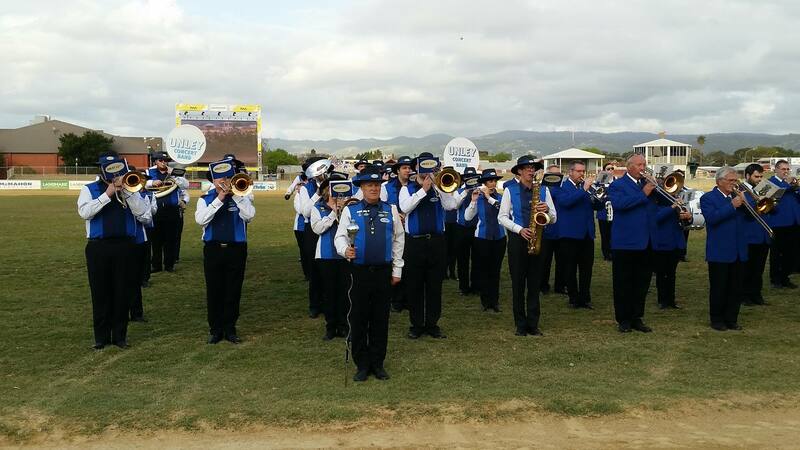 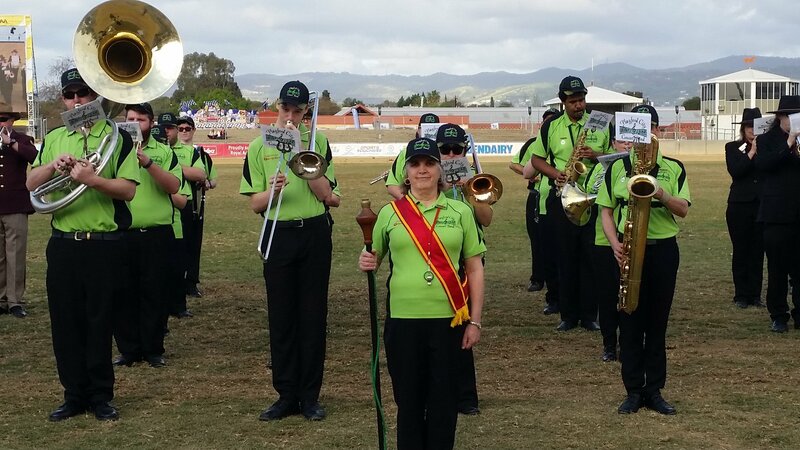 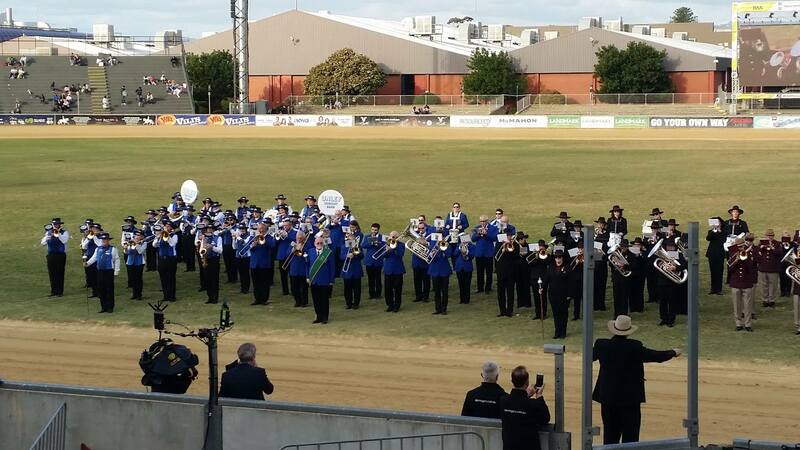 This year’s state band championship marching event was held on the main arena at the Wayville Showgrounds on the last day of the Royal Adelaide Show. 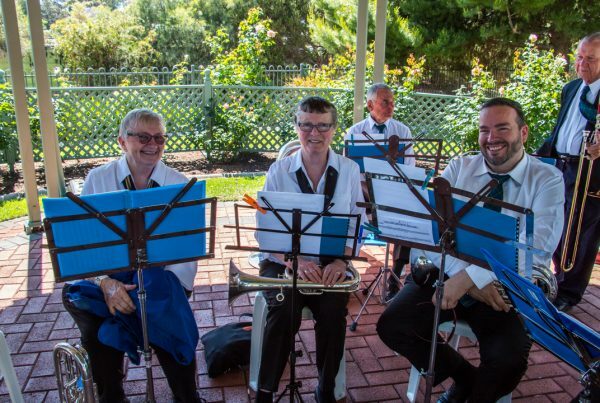 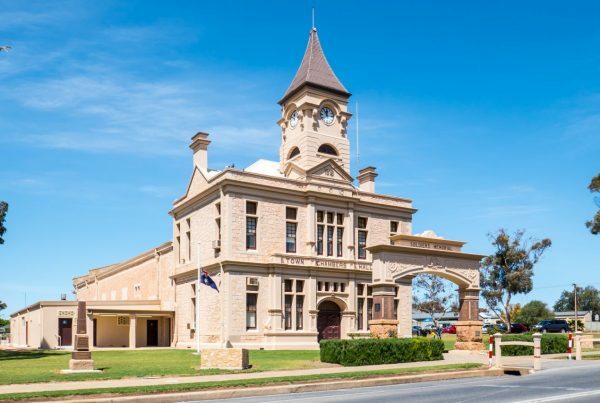 Bands attending included ourselves, Unley City Concert Band, Marion City Band, Enfield Brass, Playford City Concert Band, Warriparinga Brass, Hahndorf Town Band and the Mitcham City Band. 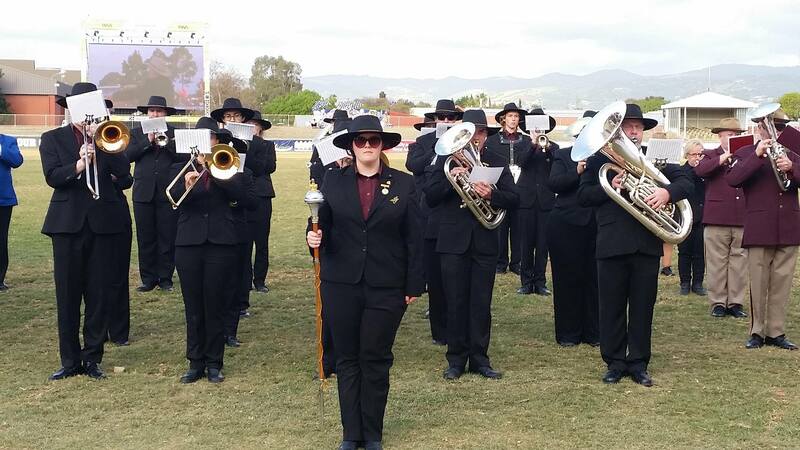 Each band attending had to march a quarter of the way around the oval, then do an entertaining 180 degree turn, coming to a halt in front of the adjudicator. 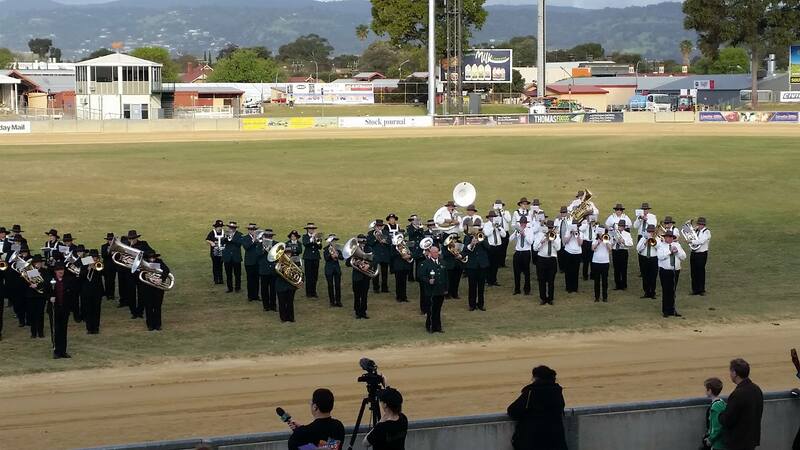 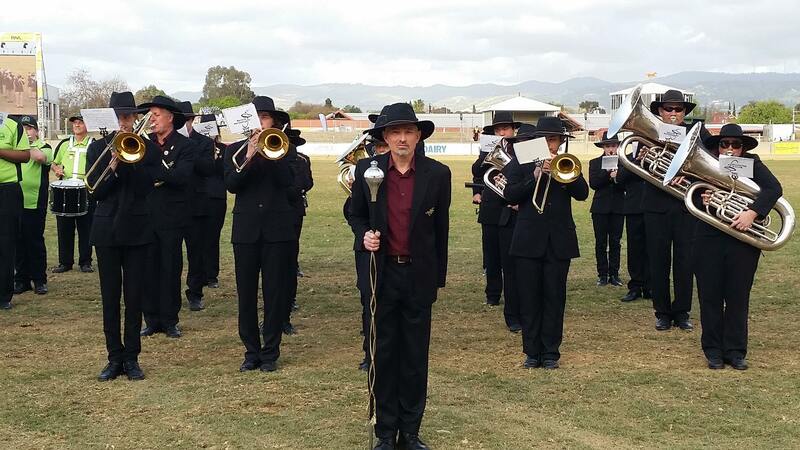 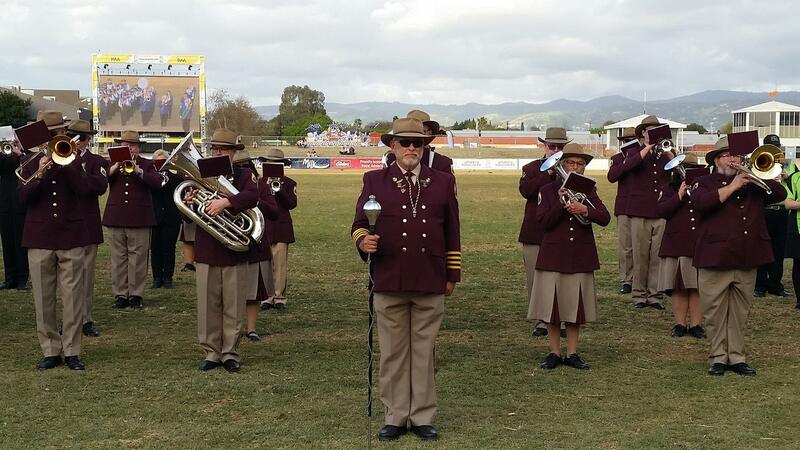 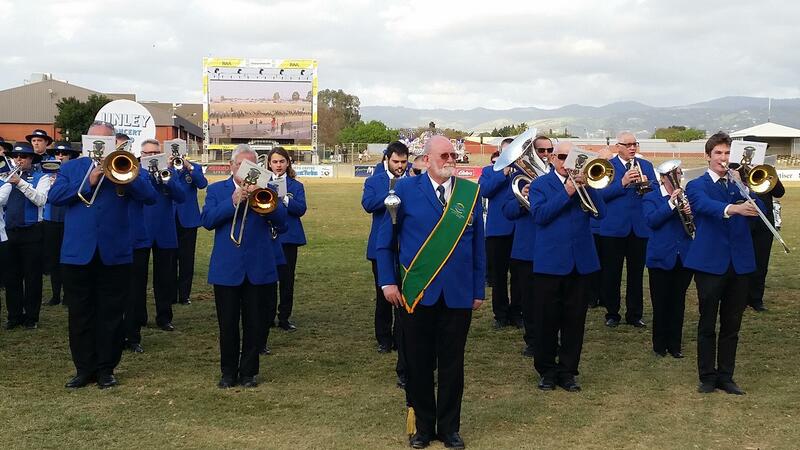 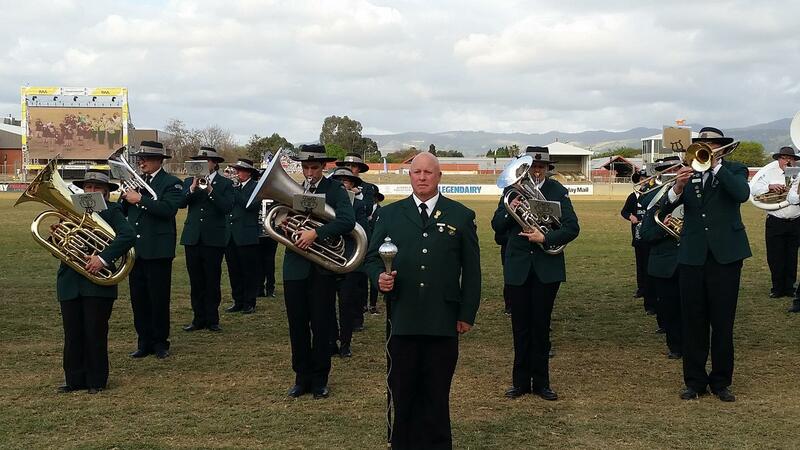 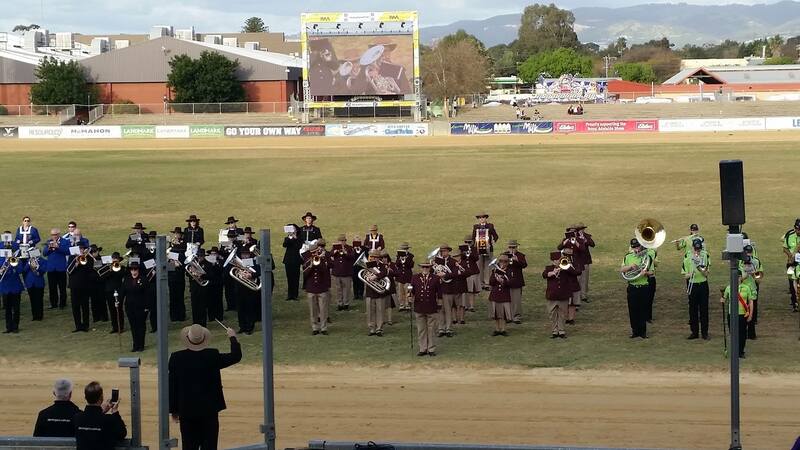 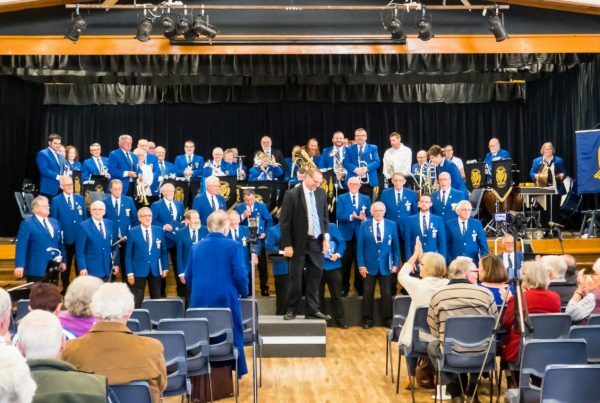 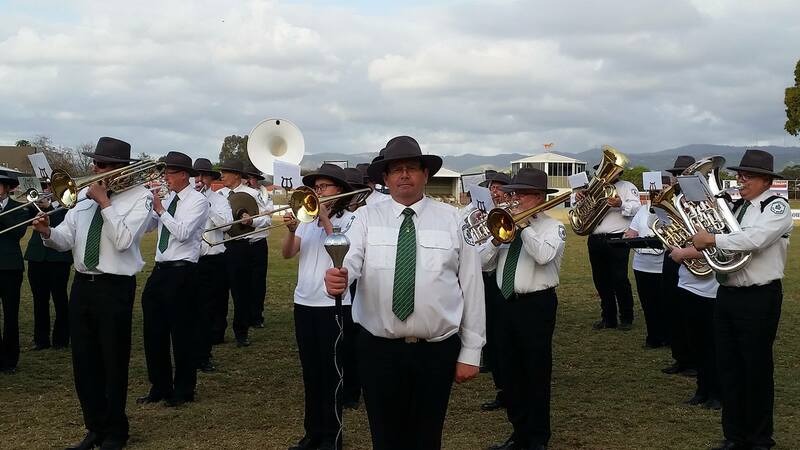 Once the competition was over, a massed band containing over 140 players was conducted by the South Australian Band Association president Mr Bruce Raymond, playing an arrangement of Sweet Caroline.